SUMMARY: Unlike some stories about moms and tooth loss, pregnancy gingivitis in unfortunately not a myth. Bringing a child into this world should be a joy. Should being the operative word there. For all its beauty and magnificence, pregnancy also brings cravings, mood swings, and physical discomfort. There's one more complication you should know about: dental health. Data from BMJ Journals showed that mothers can have more dental problems than anyone else in the family. The exact cause of why is up for debate, however, pregnancy gingivitis is unfortunately not a myth. "Hormonal shifts occur throughout pregnancy, impacting your immune system." According to the American Pregnancy Association, pregnancy gingivitis is caused by a number of factors that occur throughout child development. First and foremost are the hormonal shifts and changes your body undergoes changes during pregnancy. Some of the changes cause the nutrients that used to be exclusively for you shifted to support the fetus. Other changes lead to increased blood flow to the mouth, specifically the gums. This raises sensitivity and enhances the risk of your gums becoming swollen or irritated. Additional hormonal changes can reduce your body's defense against certain kinds of oral bacteria, which build up into plaque and can infiltrate and infect your gums if they're damaged. Add on your body's disrupted sleep schedule and the enhanced anxieties of bringing a baby into the world and your immune system just won't be working at 100 percent. The second trimester is the period of greatest risk, according to the American Pregnancy Association. This problem can, unfortunately, become very serious if not treated. Bacteria that grow in the mouth can fester into gingivitis, which can enter the bloodstream and affect the rest of your body, including your baby. In response to this threat, your body will deploy prostaglandins, which are a natural fatty acid. Normally, this wouldn't be an issue but your body is already naturally producing this fatty acid during pregnancy, increasing in levels right up until labor. The presence of more prostaglandins than usual in your bloodstream may fool your internal clock, inducing labor before the baby is ready to be delivered. Premature births can place your child's health in serious jeopardy. If you already have gingivitis or poor dental health in general, expect any current issues to worsen during pregnancy as your oral immune response is impaired. 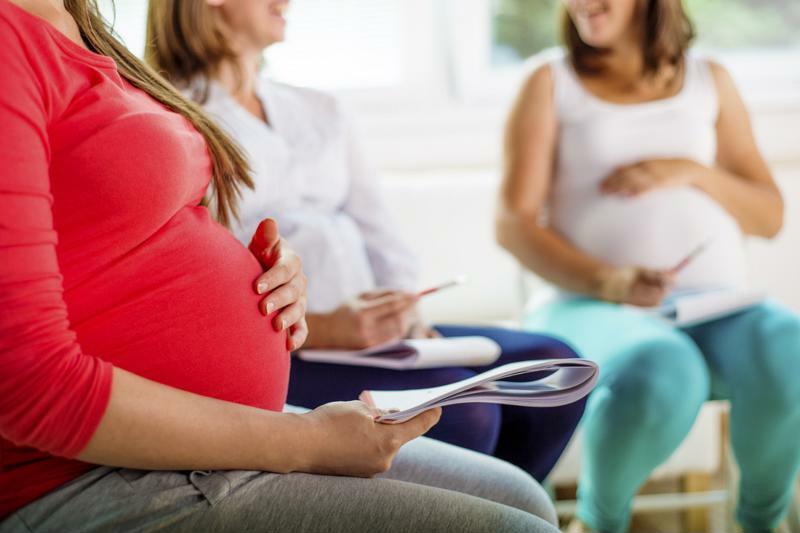 Attending a pregnancy group will help you connect with and support others enduring similar experiences. How can you minimize the risks involved? The above paragraphs may sound frightening but it is vital to remember that you are still in control of your body and that there are options. First off, buy a toothbrush with soft bristles. This will reduce the risk of aggravating your gums any more than they already are. Be sure to brush twice a day and floss at least once. In addition, keep your regular dentist appointments. Maybe schedule an extra cleaning if you feel the need. A dental professional can spot gingivitis development early and get you on the right track to preventing future problems. If you're still worried about the health of your gums and your baby, you can bring out the big guns. TheraBreath Healthy Gums Oral Rinse is an alcohol-free mouthwash designed to cripple bacteria growth within your mouth. An added benefit of our mouthwash? Low risk of gum irritation. No matter how scary pregnancy can be, remember that you are in charge and that you have a bevy of cutting-edge innovations to help improve your experience. Congratulations!